This is an antique iron nail from 1830! Comes from a barn in the Swiss Alps. There is 14 K gold on the head of the nail and a champagne diamond. Makes a strong statement. Ancient romans used iron rings as wedding rings! Iron and steel remind me of swords and weapons. These metals represent strength to me. 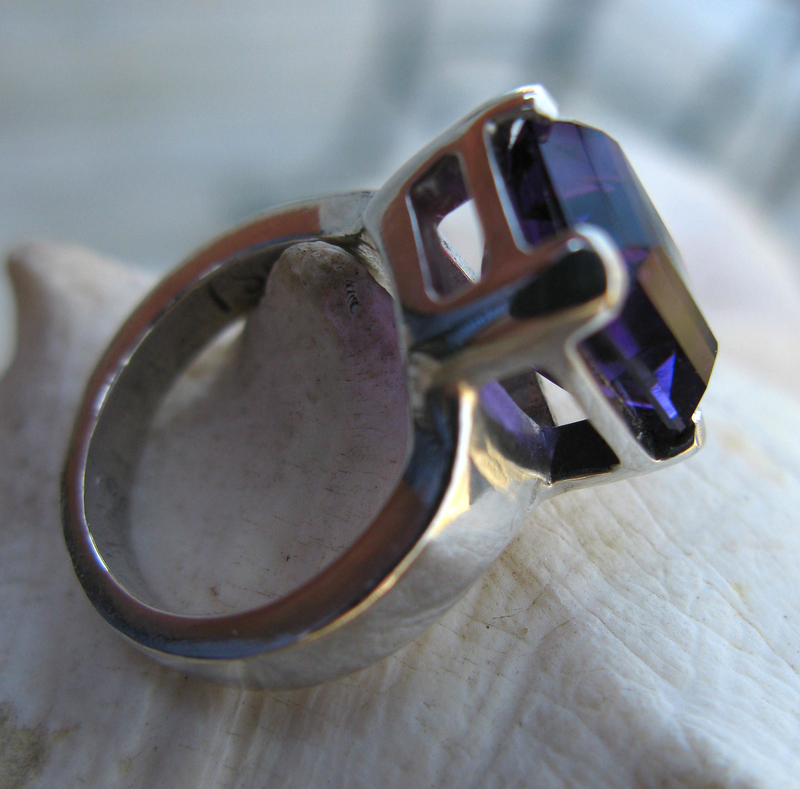 Just love that deep purple amethyst. The basket setting is clunky and heavy to fit the massive stone. 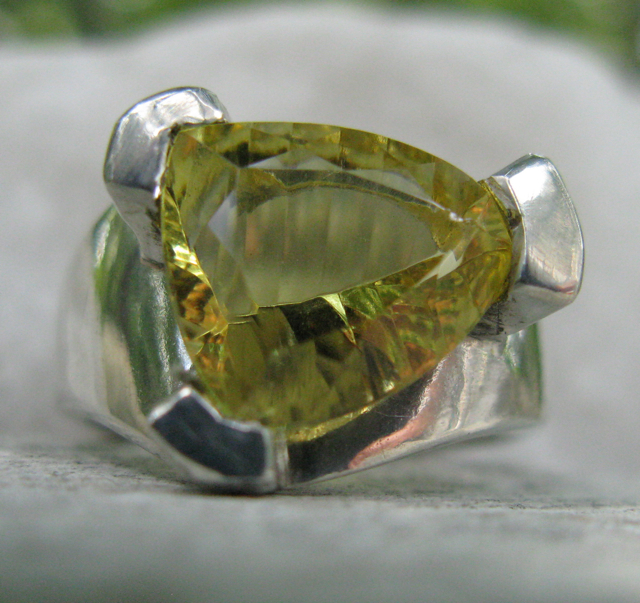 Unusual citrine – nothing symmetrical about the facets done by an expert stone cutter. 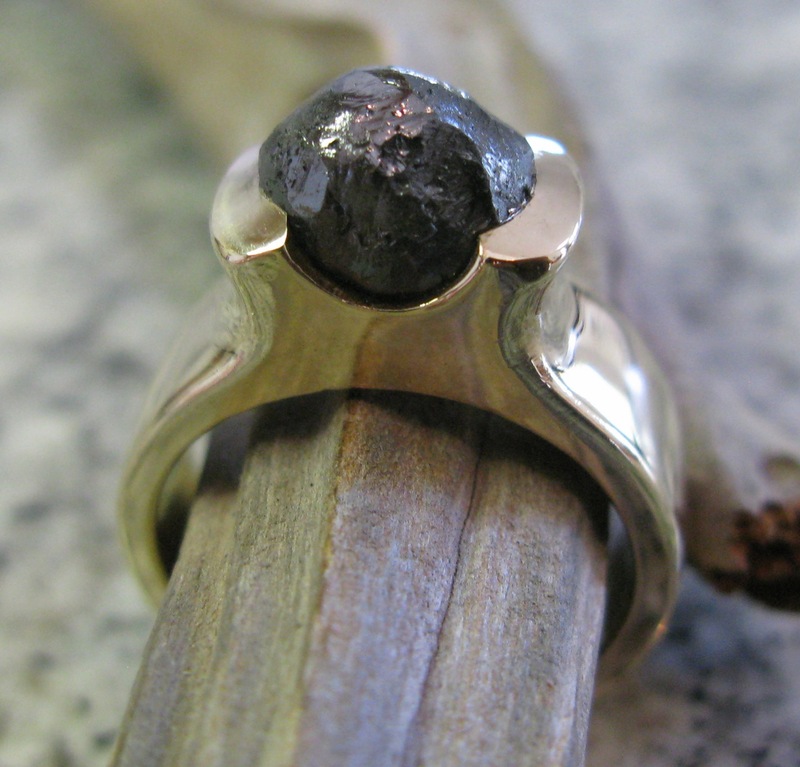 The 3 pronged setting emulates the ‘trillion’ shape of the stone. 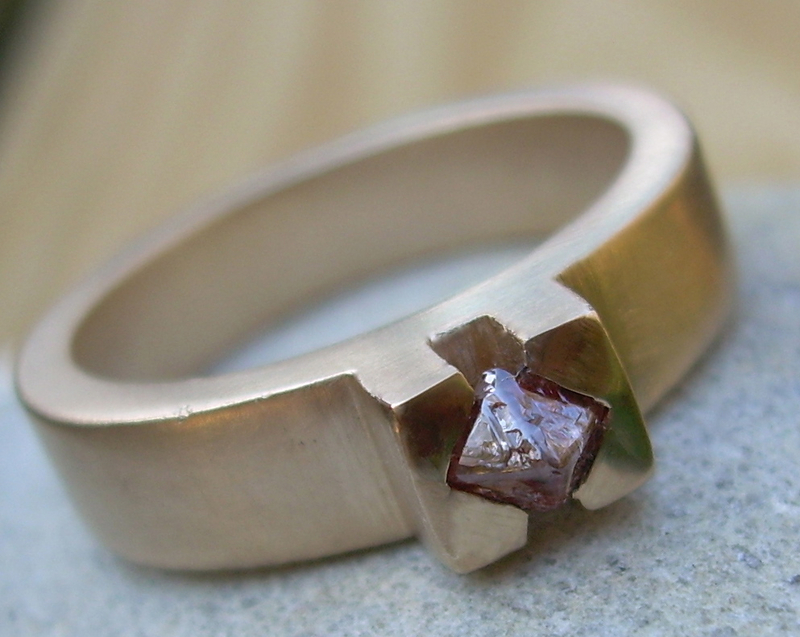 This garnet and 14 K gold ring was custom made for a dear friend. Sometimes I am so happy when a special piece is worn by a special person. 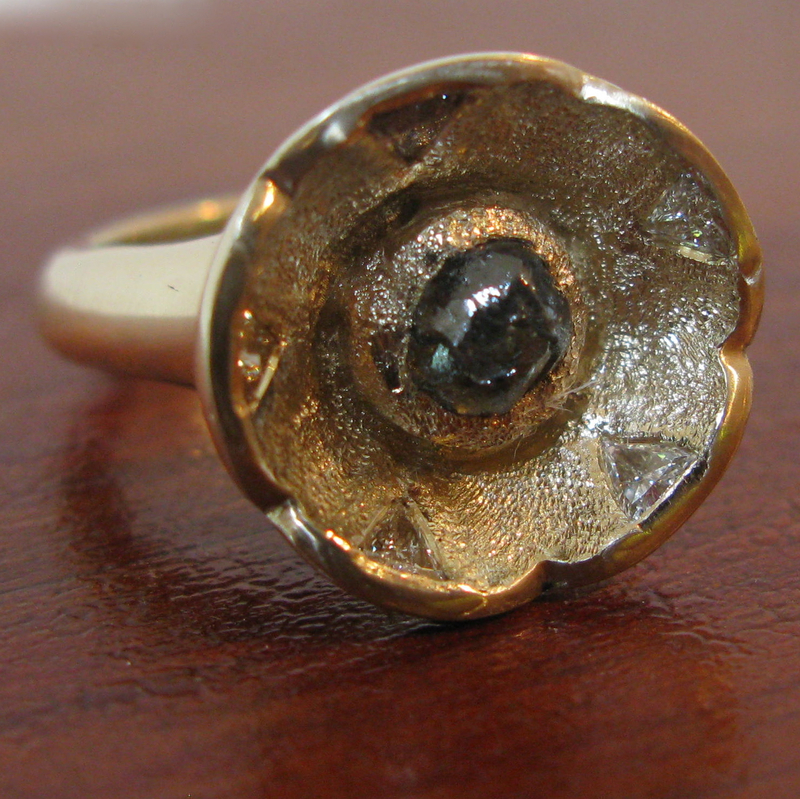 Gold ring with a big, black diamond in the rough. 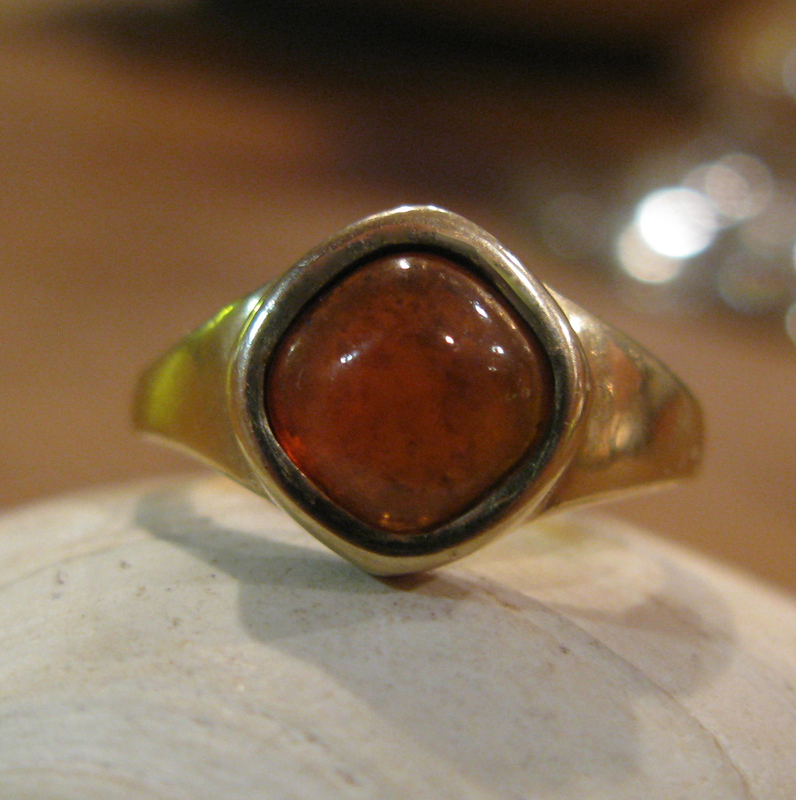 This was a wedding ring for a lovely lady in Pennsylvania. 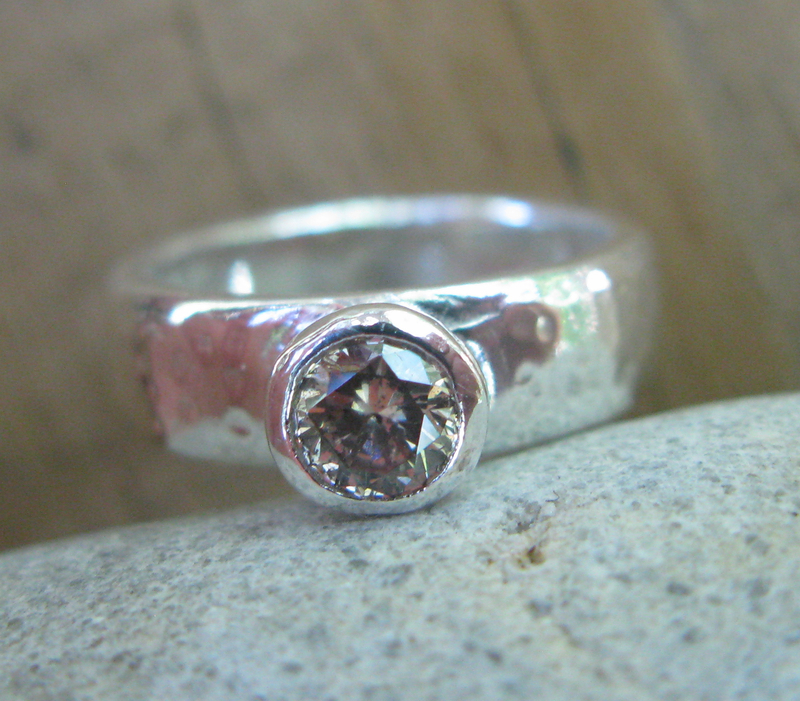 Champagne diamond (0.6 ct) with lots of brilliance in a simple hammered silver ring. I love the simplicity. 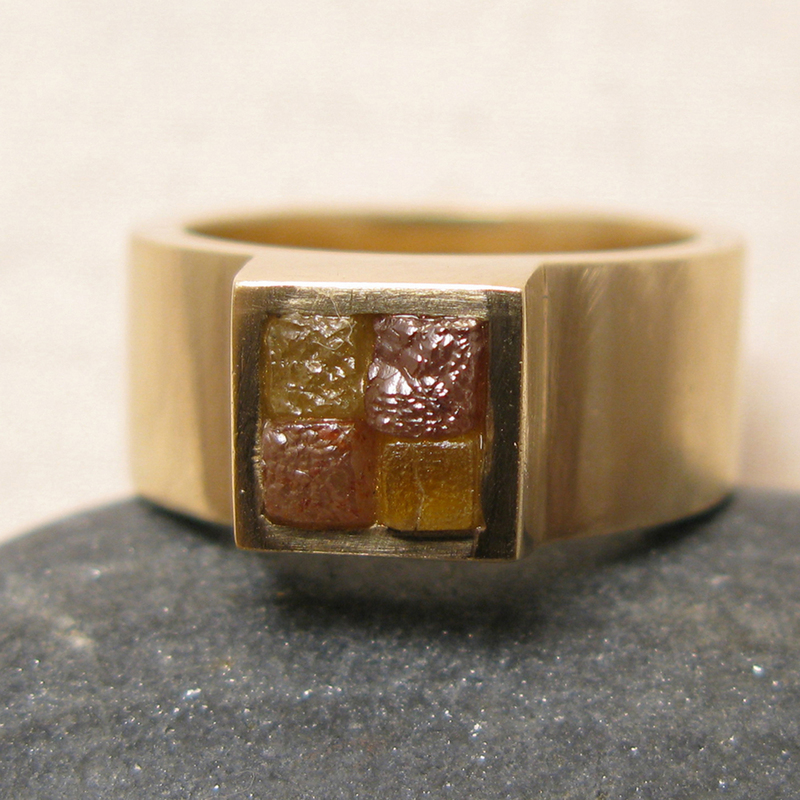 Gold ring with cubic rough diamonds: 2 are yellow and 2 are red. So glad that this one is on my daughters hand! A very special ring custom built for a special couple. 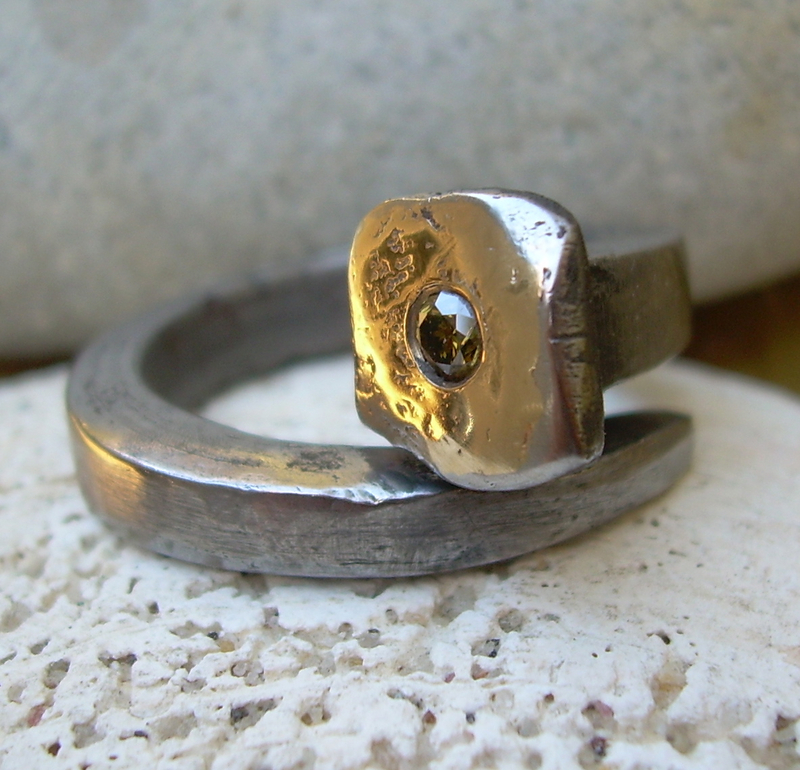 Central black diamond in the rough, 5 trillion cut diamonds and lots of 14 K gold. 14 K gold ring sporting a red octohedral diamond. This is a naturally occurring crystal shape for diamonds, but quite rare. The geometric design complements the geometry of the stone.